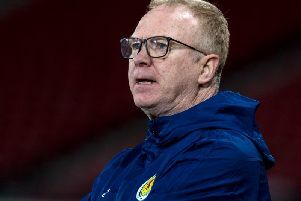 Scotland have fallen to 67th in the Fifa World Rankings after the recent 3-0 defeat to England. The national team sits between African nations Benin and Guinea-Bissau and is below the likes of United Arab Emirates, Mali, Uzbekistan and Panama. They are by far and away the lowest of the home nations. Northern Ireland are in 32nd, while Wales remain one place ahead of England in 12th and 13th, respectively. The Republic of Ireland, who bettered Scotland to reach Euro 2016, sit in 23rd. Argentina top the list ahead of rivals Brazil. It highlights the dramatic drop Scotland have suffered as Gordon Strachan’s tenure has gone on. They reached 29th in 2013, up from 72nd in the aftermath of the Craig Levein era, but have fallen back down since. The highest Scotland have ever achieved was 13th place, which they reached back in 2007.